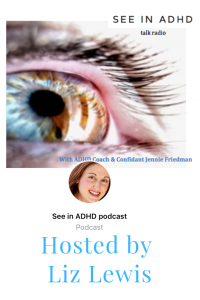 ADHD and OCD are not often discussed together. With ADHD we often feel like we cannot control ourselves. So some of us search for things we can control. My need for control is most evident in my obsessions and compulsions around food. Yes, I have disordered eating behaviors. And I’m working on it. This post is the first time I have openly discussed my ADHD and OCD all at the same time. Hopefully this opens the door for more people who struggle with all three to start talking about it. The full written post, including applicable links is called ADHD and the Need for Control. « Who Is Liz Lewis?